Two years ago, Storm Lake Elementary in Storm Lake, IA, used a Sharing the Dream Grant to purchase Netbooks so that kindergartners with no access to computers at home could learn basic computer skills and communicate with children in Canada and China online. Storm Lake won a 2013-2014 Keep the Dream Going Grant for its “Reaching More Corners of the World Through Technology” project that builds on the original project funded in 2011-2012. This year, second graders will Skype with children in China, Canada and Africa; work together on projects using Chromebooks; collaborate on blogs; share videos they have produced, and continue building crucial technology skills. With funding from Sharing the Dream, and another grant, “Reaching More Corners of the World Through Technology” has been implemented in every K-2nd grade classroom. Kwikkel’s ultimate goal is to expand the program to all grades, K-4th, providing a seamless progression of technology and global-focused learning for every Storm Lake Elementary graduate. Springdale, Arkansas is home to the largest community of Marshallese families outside the Marshall Islands in the Pacific. At Monitor Elementary, Principal Maribel Childress and ESL Specialist Julia Crane used funds from a 2012-2013 Sharing the Dream Grant to organize a series of Marshallese Academic Achievement Nights to make parents feel welcome, and to involve them more fully in their children’s education. The initiative was so successful that this year, with funding from a 2013-2014 Sharing the Dream–Keep the Dream Going Grant, the school started a similar program for Hispanic families. Families read books together, work on projects, and are trained in using mini iPads pre-loaded with educational apps that they can “check out” on weekends to support learning at home. Monitor’s Family Digital Literacy Project was introduced to families at a school-wide evening academic night in February and parents were quick to sign up. “At least one participation form has been turned in daily,” Crane said. She believes, “Successful schools with high numbers of English Language Learners have one key component in common: parental involvement. Adding the Latino parent class this year will allow us the opportunity to build trusting relationships with these families as we learn from each other how to celebrate their culture and the academic success of their children. Our parent classes focus on techniques and strategies that are supported by current research. For example, it is suggested that parents are taught specific strategies that they can use to help support their children with school-related learning. The teacher was able to clearly demonstrate to parents that reading a book was about more than words on a page. After visiting the classroom, I guided the parents through an exercise doing these ‘picture walks.’ The parents then partnered up and practiced this new skill with each other, walking through a book asking simple questions to engage one another in the story. Exchanging letters through the mail used to be the only feasible way for students to communicate with children in other countries–a process that might provide a couple of exchanges a year given the distance letters had to travel. Now, with Edmodo.com, an award-winning, safe social learning network with more than 17 million users worldwide, making those connections is a lot easier. Susan Christy, 8th grade history department head at Florence Middle School, in Florence, Alabama, uses Edmodo as a vital component of her 2013-2014 Sharing the Dream project, Adventures Through Global Weather. “With Edmodo we can reach out to other schools to interact about weather all over the world. It’s a fabulous tool,” Christy said. Christy’s students are making a video about weather in Alabama, which will be posted to Edmodo. Children around the world will be able to view the film and share about their own weather, giving insight into how weather effects agriculture, housing, clothing, and customs around the globe. While many teachers use Edmodo to make international contacts, others use the platform to connect with parents right in the neighborhood. 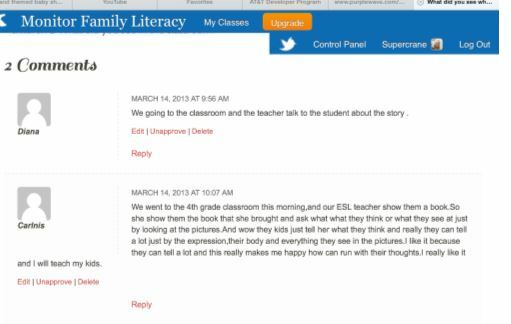 In Springdale, Arkansas, parents who immigrated to the United States from the Marshall Islands, use Edmodo to network with teachers and other parents, to practice English language skills, and to share thoughts about what their children are learning in school. 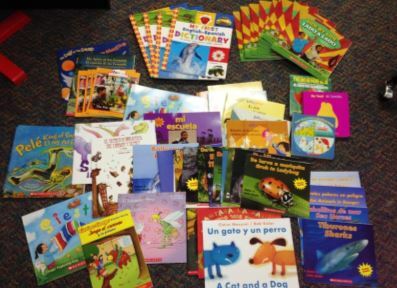 The exchange is part of Monitor Elementary’s Family Literacy Project, expanded this year with a 2013-2014 Sharing the Dream-Keep the Dream Going Grant to include Hispanic parents. Do you use Edmodo in your classroom, school or district? What features do you use? Have you used Edmodo to reach out to classrooms in other countries? Would you recommend it to other educators? Tell us about your experiences in a comment. Global Resources for Schools is our feature highlighting international focused organizations, educational websites and resources to support educators in their efforts to create globally oriented schools. Do you have a website, organization, resource or idea to share? Contact us! For schools experimenting with iPads or BYOD (bring your own device) programs, global-focused apps are a fun and engaging way to teach students about different countries, languages and cultures, and issues facing the world. 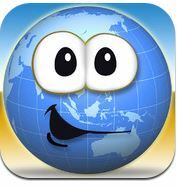 Today’s featured app is Stack the Countries, a highly rated world geography educational app by Dan Russell-Pinson. 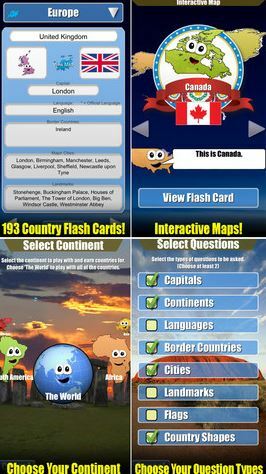 Children learn about capitals, landmarks, major cities, languages, flags, geographic locations and more with interactive maps, flash cards, photos and music, and a game that challenges players to answer questions about 193 different nations around the world. Compatible with iPhone, iPod Touch & iPad. $1.99. 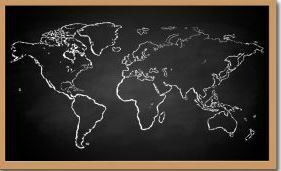 Do you use global-focused apps in the classroom to help students explore the wider world? Share your experiences—and favorite apps—in a comment. 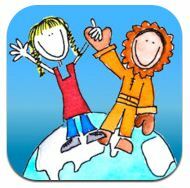 Today’s featured app is Being Global, a bilingual storybook and activity app for ages 4 and up, based on the award-winning children’s book, What Does It Mean to be Global? by Rana DiOrio and illustrated by Chris Hill, and published by Little Pickle Press. An interactive, multi-media, and bilingual app kit for parents and educators to teach children about the goodness in exploring, appreciating, and respecting other children’s traditions, religions, and values the world over. 2012 Appy Award Winner – Multi-cultural category. Compatible with iPhone, iPod touch, and iPad. $1.99. View the Being Global trailer here. Train staff how to use technology. Technology can enhance the learning process, but only if teachers (and others involved in the project) know how to use it. Provide training and practice time for staff to become familiar with new equipment. Lessons from the Field features strategies, tips and advice from our Sharing the Dream grantees. At the end of each school year, we ask them “What advice would you give to other schools who want to start a project like yours?” Their insightful answers have generated a wealth of ideas for other educators to try in their own schools. Have you tried this idea? How did it work? Share your experiences in a comment.